Mohammad Hossein Ahmadi Shahrudi was born in Najaf, Iraq in 1958. He is a seminary graduate. 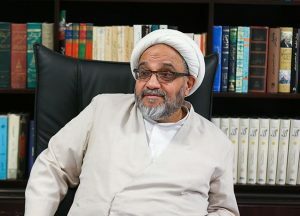 As Khuzestan’s religious judge in 1988, Mohammad Hossein Ahmadi Shahrudi was part of a notoriously brutal committee, known as “the Death Committee.” This group decided which prisoners would live and die and based their judgements on only a few questions, asked of the prisoners about their political or religious beliefs. “Then he said, “If you are Muslim, are you prepared to fight for Islam?” I could not understand what he meant, so he asked, “Would you fight for Iran?” I replied, “I would, if my country were in danger.” He asked me, “If anybody attacked our country, would you fight at the frontier?” I answered, “I would, if it were necessary and I were not imprisoned.” He continued, “You say you are a Muslim, would you walk through a minefield and be prepared to die for Islam?” I replied that I was not a fool to walk through a minefield, just because I was Muslim. The 1988 massacre of political prisoners in Iran is recognised as a crime against humanity by international human rights lawyers such as Geoffrey Robertson, as well as by the Iran Tribunal people’s court and Human Rights Watch. The United Nations recognises the 1988 massacre victims’ cases as enforced disappearances. 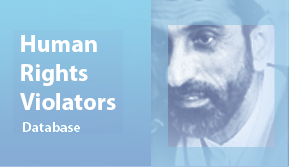 Enforced disappearance is a human rights violation and a crime under international law. The crime is not subject to statutes of limitations, and charges may be initiated at any time, until the person concerned is found or their fate is determined. 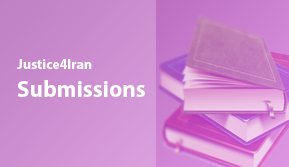 According to international law, the Iranian regime should guarantee the families of victims their rights to knowing the truth about the fates and burial places of their loved ones, and hold accountable those responsible for such crimes.